In an effort to streamline things, I'm moving Amphitheatrum ad Infinitum over to Nescio Quid. You can find all the Amphitheatrum posts there now. I'll leave this active for a few weeks before deleting it. My upper level Latin students have been working through Augustus' Res Gestae (RG) and Suetonius Divus Augustus this fall. We've finished with the RG and started in on Suetonius with a quick read through his Divus Iulius in English translation. The development of gladiatorial spectacles from Julius Caesar to Augustus is quite important in the transformation of such spectacles from funerary displays to public entertainments. In 65 B.C.E. Caesar staged extravagant gladiatorial combats in honor of his father, who had died in 85 B.C.E.. Suetonius (Div. Iul. 10) reports that Caesar had brought so many gladiators to Rome causing his enemies to fear for their safety that a limit was imposed on the number of gladiators that could be used in a spectacle. Augustus himself imposed further limitations on the number of gladiators, but we see that he must have made exceptions to these limits when staging spectacles himself or on behalf of his heirs. Although limitations were being placed on the number of gladiators, the first permanent amphitheater was constructed in 29 B.C.E. by Statilius Taurus, one of Augustus' most successful generals. 16 B.C.E. as part of the rededication of the Temple of Quirinus. 12 B.C.E. as part of the Quinquatria, a festival in honor of the goddess Minerva, in the name of his grandsons Gaius and Lucius. 7 B.C.E. in memory of Agrippa, possibly in the name of Gaius and Lucius. 6 C.E. in memory of Drusus the Elder in the name of his grandsons Germanicus and Claudius. "Ter munus gladiatorium dedi meo nomine et quinquiens filiorum meorum aut nepotum nomine, quibus muneribus depugnaverunt hominum circiter decem millia. Bis athletarum undique accitorum spectaculum populo praebui meo nomine et tertium nepotis mei nomine. Ludos feci meo nomine quater, aliorum autem magistratuum vicem ter et viciens. Pro conlegio XV virorum magister conlegii collega M. Agrippa ludos saeclares C. Furnio C. Silano cos. feci. Consul XIII ludos Martiales primus feci quos post id tempus deinceps insequentibus annis s.c. et lege fecerunt consules. Venationes bestiarum Africanarum meo nomine aut filiorum meorum et nepotum in circo aut in foro aut in amphitheatris populo dedi sexiens et viciens, quibus confecta sunt bestiarum circiter tria millia et quingentae." 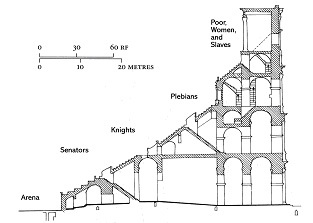 I've been toying with the idea of developing a course on the cultural history of the Colosseum for several years now. 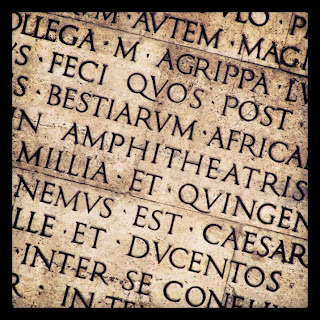 I'd cover the usual amphitheater and gladiator topics from the "origins" of the games, through the building of the Colosseum, and the spread of amphitheater culture throughout the Roman empire. But I'd also dedicate a large chunk of the course to the cultural reception and appropriation of the Colosseum, and gladiators, from antiquity to modern times. Having pondered this idea for almost four years, gathering references here and there, I decided to commit to the idea and make a more concerted effort to developing the course, so that I'd be ready to propose it and teach it when the opportunity arose. And so, last fall, I started Amphitheatrum ad Infinitum. It's been a beginning filled with fits and starts, but now that the academic year is drawing to a close, I am hoping to develop a blogging habit and go somewhere with this course concept. Ashbrook: "What was the sense in the hall? How did Ohioans respond?" McIntyre: "... When it actually rolls into your town it just has a bigger spectacle, you know. Some of the folks that were following the campaign were rolling their eyes, like "here we go again," "we've heard all this before."..." Ashbrook: "Did you have a sense, or was there a sense in the hall of who came out on top? It's neck and neck in Texas. I don't know where it stands in Ohio in the polls right now. Was there a sense of a winner, of two gladiators who have been at it, both admired for sticking at it? How did you read the Ohio response in that microcosm Mike? The positive identification of Obama and Clinton as gladiators and the suggested parallel between the debate and the other combat sporting events that have been staged at the Wolstein Center illustrate an interesting cultural appropriation of the arena. The image of the gladiator has become a popular one in our modern culture. The gladiator has come to represent the underdog who overthrows the forces of oppression. A hero who will fight to the death for his beliefs or for his "team." This is easily seen in films like Spartacus or Gladiator or in the innumerable identifications of football players as "gridiron gladiators." We are now in the midst of the campaign season, again, and I was quite thrilled to see this on the cover of the February 6th issue of Newsweek. 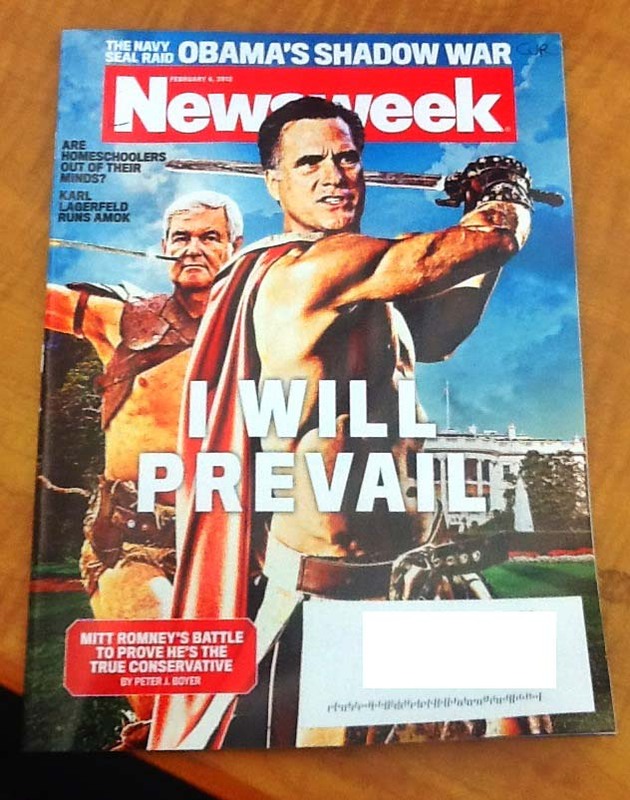 From what I've seen, this cover as largely met with ridicule, and I suspect that this is a case where it is better to imagine the politician as a gladiator, than to actually see him dressed/photoshopped up like one. Still further comparisons have been drawn between this spring's campaigning and the arena. The debate audiences have even been compared (here and here at 10:36:25) to the unruly spectators at the Colosseum at the CNN debates in January. The issue of politics and the arena is a topic that I will return to in the future. In fact, there's a lot of interesting stuff to think about in Cicero's Pro Sestio. Gladiatorial games were as much about politics as they were about sporting spectacles. It seems that we have returned to that political idiom again and it will be interesting to see how it recurs as the campaign season continues. 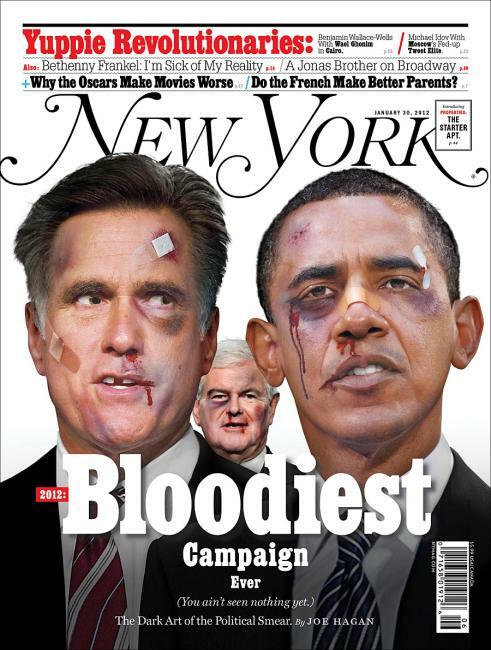 We already have images of bruised and battered politicians, as if they have been fighting it out hand to hand (see here). I had never heard the comparison of a modern political to a gladiator made until the 2008 presidential campaign. Were there earlier comparisons in American politics? Please send them my way if you know of any. I've been away from this blog for too long and hope to begin regular posts this spring. Think of it as a sort of second coming. To ease me back into things, the Colosseum has conveniently been in the news this weekend for two different reasons: 1) Passover and 2) protests by the "gladiators" who pose for pricy pics with tourists. In 1749 Pope Benedict XIV (1740-1758) declared the Colosseum sacred ground and had a cross erected in the center of the arena and a series of fourteen crosses to mark the stages of the Passion of Christ around the perimeter of the arena. The crosses stood in the arena for a a century and a quarter, until they were taken down prior to excavation of the arena began in 1874. 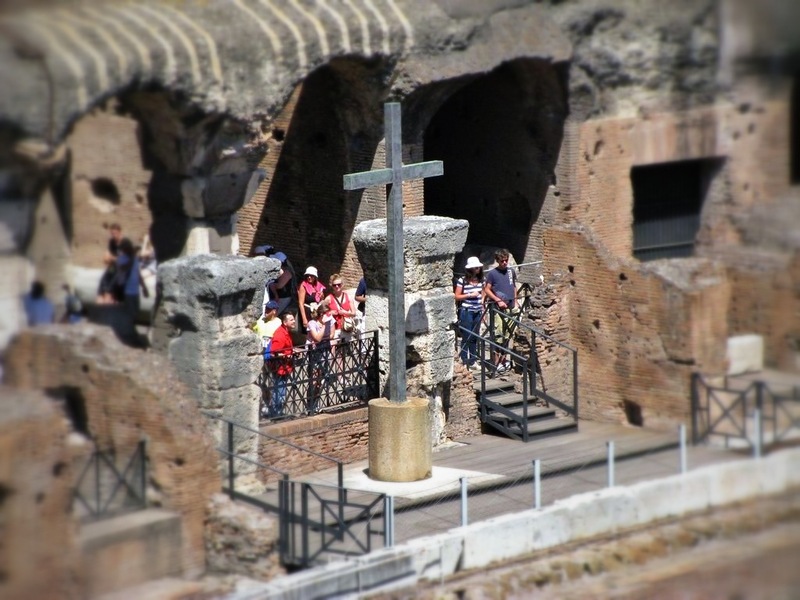 The Popes, however, have continued to mark the beginning of Passover with a procession to the Colosseum, often referred to as the "Via Crucis" or the "Way of the Cross." It is interesting that this ban on "gladiators" at the Colosseum is happening now. As already mentioned, it may have something to do with last years arrests, but another possible reason for their removal may be tied to the conservation work that is just beginning on the Colosseum. 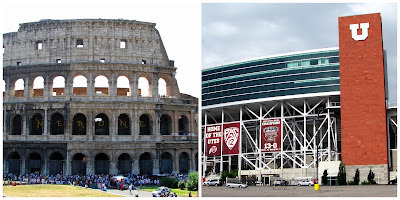 Albert Prieto has written up "What's Wrong with the Colosseum" in a two part post over at the American Institute for Roman Culture (see here and here). 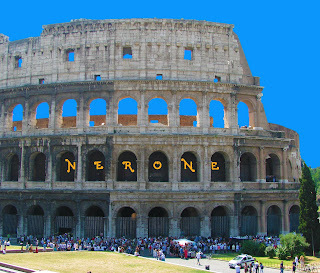 On Saturday, April 7th, a number of "gladiators" protested the ban by climbing the Colosseum and displaying banners supporting their cause. The banner I find most interesting is one that reads "30 famiglie romane da oggi senza pane. Diritto al lavoro." (30 Roman families are without bread today. Right to work.). Although probably unintentional, it reminds me of Juvenal's panem et circensem or "bread and circuses." Juvenal, in his tenth satire, is commenting on what gets the attention of the people in the first century B.C.E. ; only free food and entertainment does the job. 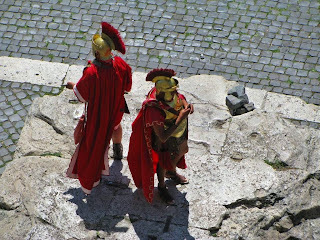 (For photos of the "gladiators" holding the Colosseum check out the series at La Reppublica). The Colosseum is iconic. 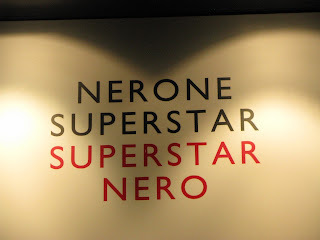 It is the symbol of ancient Rome. And even though it was relatively late on the scene in terms of Roman history, (ca. 800 years late!, if one counts from the legendary founding in 753 B.C.E. ), it still pops up from time to time in modern recreations of earlier Roman eras. Yesterday, I learned (thanks to a tweet from the rogueclassicist!) that Warner Brothers has purchased the rights to a time-travel story created on reddit in response to a post asking if the entire Roman empire, during the Augustan period (27 B.C.E.-14 C.E. ), could be destroyed by a modern Marine battalion. James Erwin responded with a series of posts that tell this tale, which he entitled Rome Sweet Rome. The story itself has potential; The Final Countdown was pretty awesome 30 years ago. Will Warner Brothers actually make the movie? We'll have to wait and see. The story now has its own reddit and facebook page, and there is some cool concept art as well. The main poster (see the concept art here) depicts three togate men flanked by military standards overlooking a mass of Roman troops. There are several temples in the background, helicopters in the sky, and looming over it all - the Colosseum. It screams "ROMAN!" But Augustus never knew the Colosseum, despite the fact that Vespasian supposedly (according to Suetonius) began the work on the amphitheater after discovering that Augustus had favored such a project. 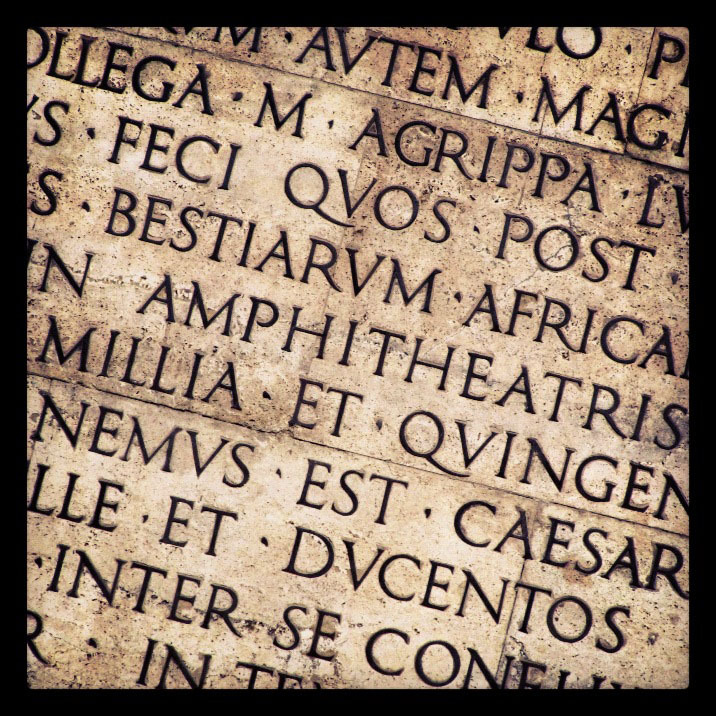 During Augustus' lifetime, the first permanent, stone amphitheater was built in Rome by Titus Statilius Taurus, one of Augustus' generals in the civil war and dedicated in 29 B.C.E. It was destroyed by the great fire of 64 C.E. 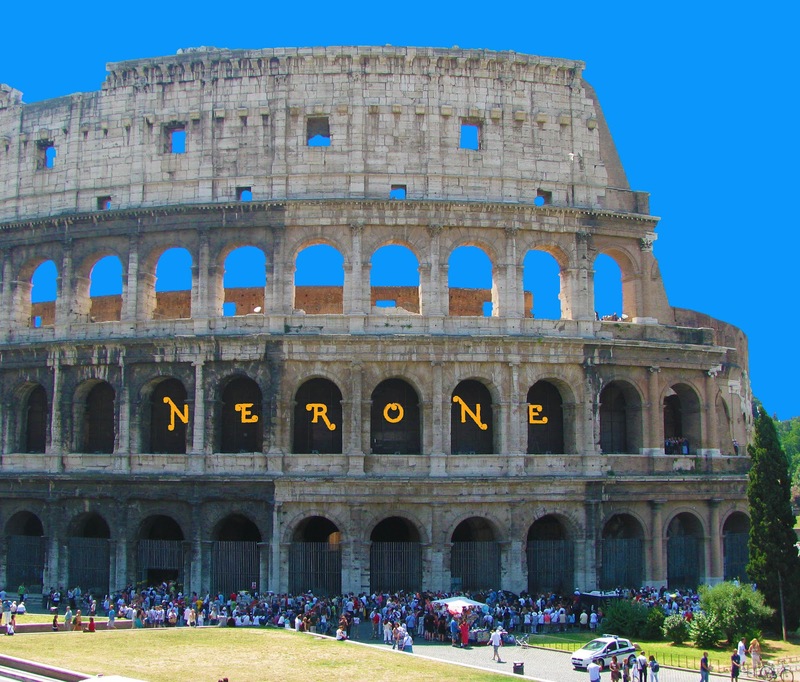 and Nero supposedly planned to rebuild it, but the Domus Aurea seems to have moved the amphitheater to the bottom of the emperor's to do list. 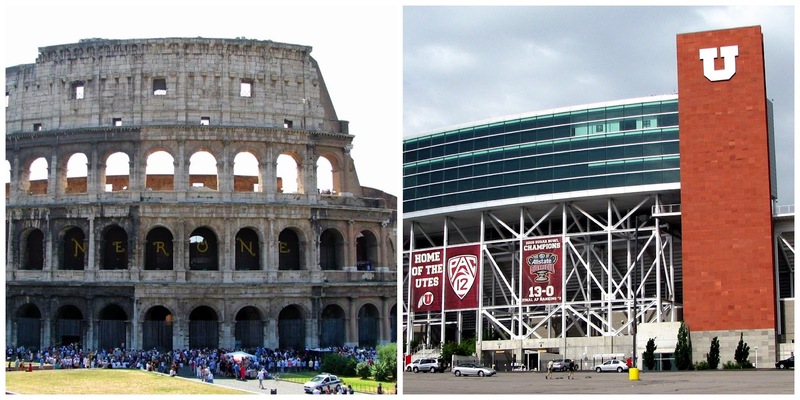 What other anachronistic Colosseums are out there? Amphitheatrum ad infinitum... by A.M. Christensen is licensed under a Creative Commons Attribution-NonCommercial-ShareAlike 3.0 Unported License.